The fall previews on J.Crew are here! I absolutely worship the first dress, the gorgeous beaded confection, and the lace detail across the back on the third dress is incredible. 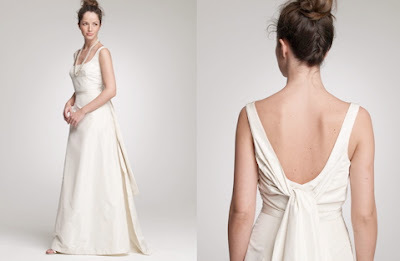 Plus the pleating on that bridesmaid dress is outrageous; it's perfect for a modern, structural wedding.